Optional mechanical relay will connect inputs to outputs in the event of a power failure. 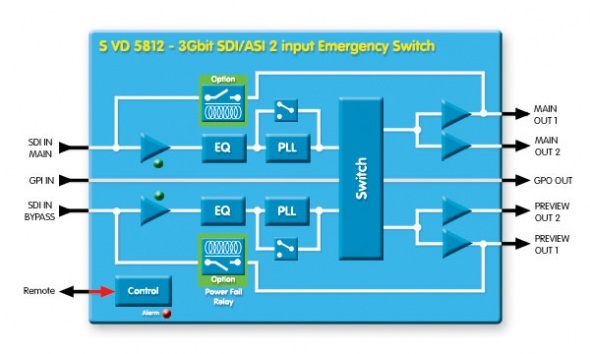 Local control capability is provided via the integrated dip switch. Remote control, status monitoring and error reporting is possible when using the LYNX control system.